I keep coming across statements about abstraction and spirituality. 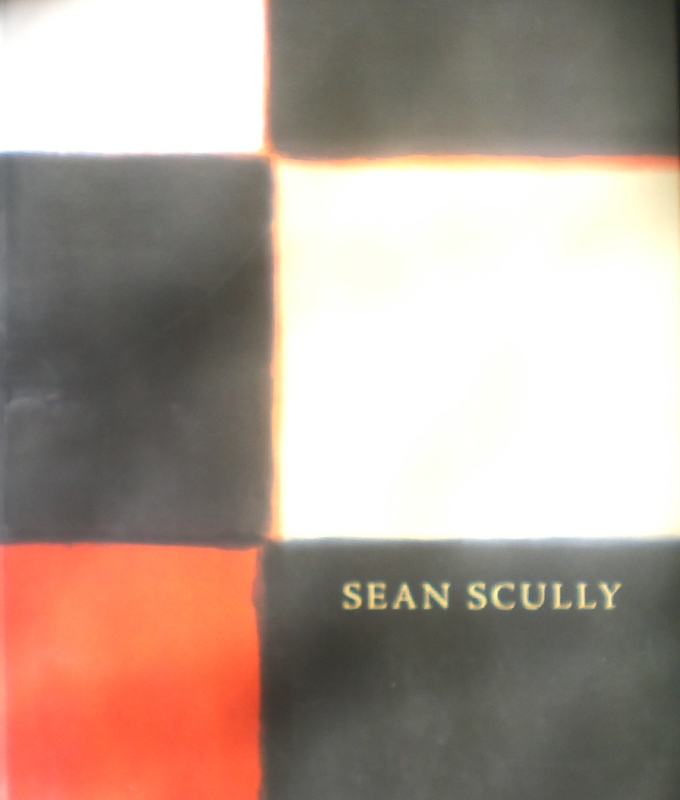 Sean Scully seems to like the connection, and I have been re-reading Concerning the Spiritual in Art by Wassily Kandinsky. 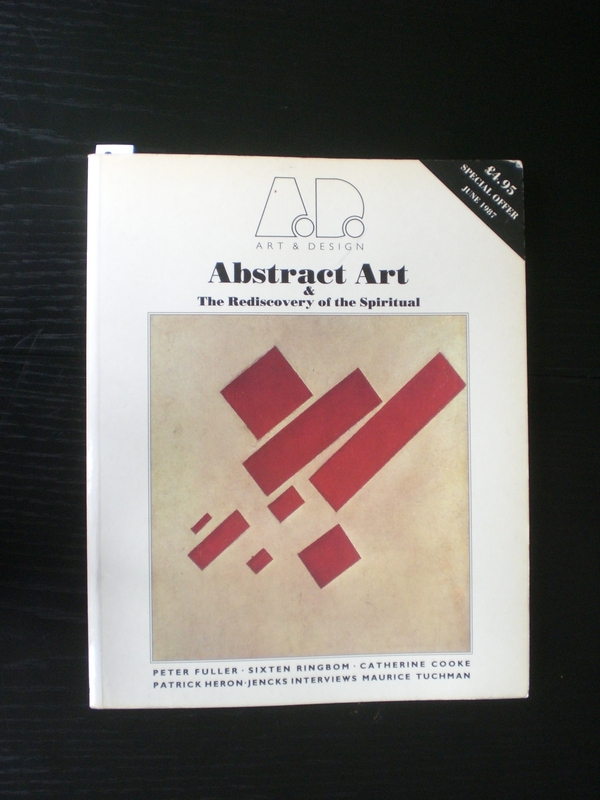 I also found an old copy of Art & Design from 1987, inspired by the exhibition The Spiritual in Art: Abstract Painting 1890 – 1985 at the Los Angeles County Museum of Art. In other parts of his essay, Fuller puts the label ‘scholar’ in inverted commas! The sentence quoted forms a fulcrum in Fullers article, as he now goes on to analyse the state of spiritual life in Europe soon after the turn of the century, positioning Kandinsky’s desire to penetrate beyond the veil of material things in relation to Kandinsky’s Christian beliefs. Beginning his survey with the natural theology of P.T. Forsyth who insisted that “A distant God, an external God, who from time to time interferes in Nature or the soul, is not a God compatible with Art, nor one very good for piety” he observes that by the time Forsyth was writing, this belief in the immanence of God within his world had already been eroded by the advance of science, secularism and industrialisation. Nature had already become a wasteland, a wilderness divorced from spiritual and aesthetic life. Whilst Kandinsky, brought up in the Eastern, Orthodox tradition with its icons that expressed ‘transfigured’ rather than visible realities, hoped to see through the physical world to the spirit, earlier Western theologians like John Henry Newman, had already highlighted the gulf that divided the material from the spiritual. What Newman and Kandinsky shared, however, was a ‘longing after that which we do not see’, a longing that was not shared by the prevailing liberal Protestantism of the Christian churches in pre-war Germany. It is against this backdrop that Kandinsky was attracted to the ‘new Christianity’ of Theosophy. Fuller sees patterns that connect Kandinsky’s rejection of the worldliness and reasonableness of nineteenth century faith to Rudolf Otto, the Austrian theologian who wrote The Idea of the Holy, and who drew a comparison between the religious experience of ‘the numinous’ and the aesthetic experience of the beautiful. He probably had Chinese painting in mind when he praised pictures “connected with contemplation – which impress the observer with the feeling that the void itself is depicted as a subject”, the void of negation “that does away with every ‘this’ and ‘here’ in order that the ‘wholly other’ may become actual”. Continuing his survey of the spiritual in art against the theological background of the early twentieth century, Fuller observes that the aesthetic rooted in natural theology ended in the obsessively detailed materiality of the Pre-Raphaelites and the hope that abstraction might reveal transcendent reality, ended with the emptiness of the void. In other words we arrive at the impossibility of the spiritual in art. This impossibility was voiced by the twentieth century’s greatest theologian Karl Barth, in his commentary on the Epistle to the Romans. In Barth’s theology God is the subject, not the object of experience, and religion is the very antithesis of the (partial) revelation of God in the person of Jesus Christ. Otto’s idea of the holy as the wholly other within human experience was the opposite of Barth’s ‘Wholly Other’ as utterly transcendent “the pure and absolute boundary… distinguished qualitatively from men and from everything human, and must never be identified with anything which we name, or conceive, or worship, as God.” The most that art (or theology) can ever hope to do is perhaps to point to the revelation of God in Christ, like John the Baptist in Grunwald’s Isenheim altarpiece. For Barth, Kandinsky’s desire to give expression to the Wholly Other in a plastic way would have been absurd, vain and presumptuous. The importance of Barth lies in the fact that his is the only possible theology for the twentieth century: and it proves to be impossible. He criticises the exhibition for its shallowness and ignorance arguing that the spiritual insights of Tuchman and friends are so thin, and the trance sessions and cosmic vibrations such a distraction, “that they appear not to realise that there is a wasteland to confront.” He goes on to list British and Australian artists of the twentieth century of whom this cannot be said (even though they do not feature in the exhibition): Henry Moore, Graham Sutherland, John Piper, Ben Nicholson, Barbara Hepworth, Bryan Winter, John Craxton,William Scott, Ivon Hitchens, Alan Davie, David Bomberg,Petter Lanyon, Patrick Heron and Mary Potter. And he closes with an appreciation of “the greatest American painter of the twentieth century” who was “intimately concerned with the bleakness of our spirituality in the absence of God” namely, Mark Rothko. 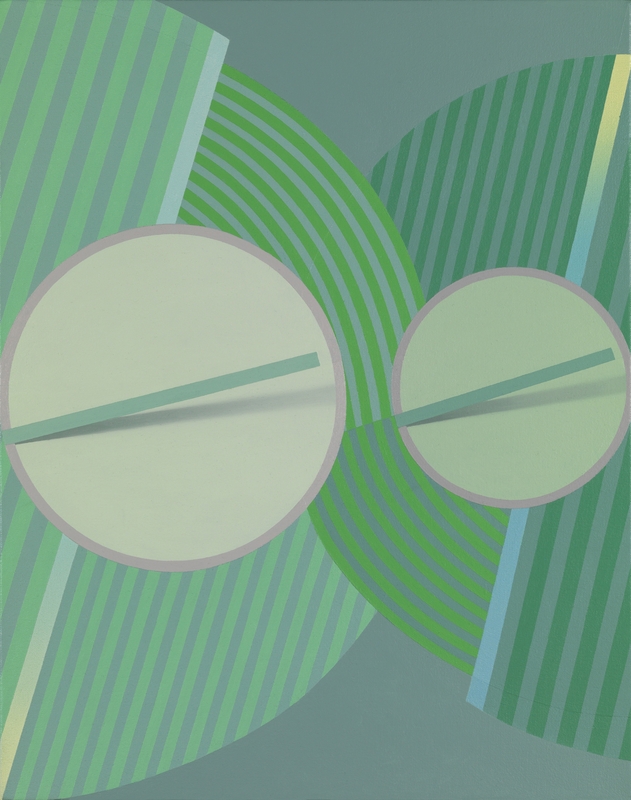 In Turps Banana issue ten, Dan Coombs writes about the paintings of Tomma Abts. I like her work. At least I think I do, only having seen it in reproduction, and looking forward to seeing some of it in ‘real life’ soon. 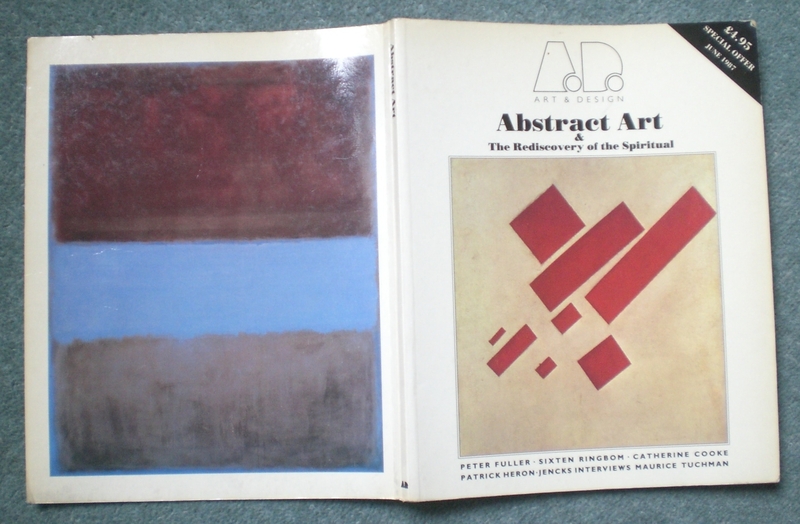 One of the recurring themes of this blog is abstraction and its relationship (or not) to decoration. In his Turps Banana article Coombs makes some interesting points on this subject. 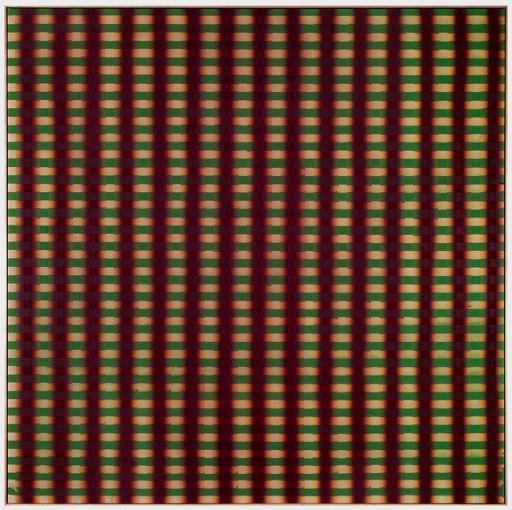 I have noticed that whenever the ‘D’ word is used in relation to abstract art it is usually the late modernist painters, championed by Clement Greenberg, that we have in mind. 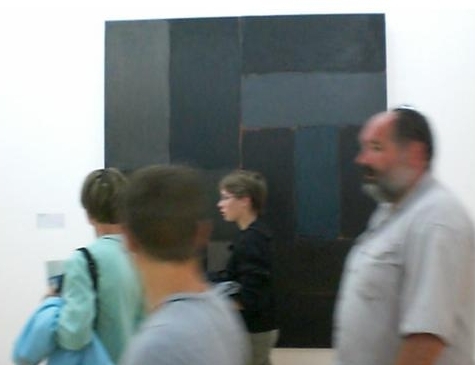 I remember being horrified at a lecture by Peter Fuller in 1979 when he referred to the paintings of Jules Olitski as ‘terrible’ (in the bad sense) and I think it was what Coombs calls the ‘innocently decorative’ that he was reacting against, and what the earlier generation Abstract Expressionist Barnett Newman referred to pejoratively as ‘batik’. 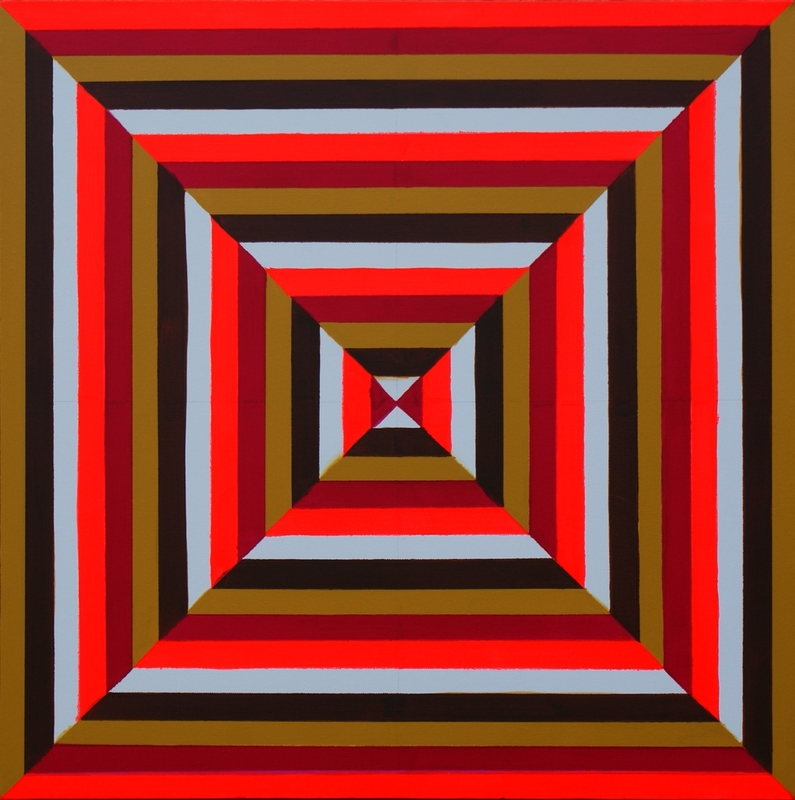 Coombs suggests that what Greenberg left out was the psychological component of art, a dimension he finds plenty of in Abts paintings and that prevents them from ever becoming ‘innocently decorative’. This link shows the Mondrian painting I saw recently at The Hepworth,Wakefield: Composition C (No.III) with Red, Yellow and Blue 1935, Oil on canvas,560 x 552 mm. I have started to make some studies of it. The first time I ever heard the word ‘post-modernism’ was in a lecture in 1979. I have no idea who was lecturing but the case they were making for post-modernism was a lot to do with Kandinsky’s notion of the spiritual and both his and Mondrian’s links to Theosophy, but I remember struggling to understand how that was post anything. There’s a show at The V&A just now called Postmodernism: Style and Subversion 1970-1990 on the blurb they say “many modernists considered style to be a mere sideshow to their utopian visions; but for the postmodernists, style was everything”. I guess what they say here about “many modernists” would be true for Mondrian, who was highly utopian. So perhaps ‘post-Mondrianism’ says ‘post-modernism’ after all. Ross Wolfe’s blog charts the importance of Utopianism for modern art and architecture, it’s subsequent demise leading to late and post modernism.